What do you do when you retire and have nothing much to do? Well, if you're Cheryl Kaiser, you hop into a hot rod and re-model yourself as the Racin' Granny. Cheryl has quite a back-story too, having beaten the stage-four Non-Hodgkins Lymphoma she'd been diagnosed with back in 2014. By 2016, both her strength and hair was back, and she had a new lease on life. 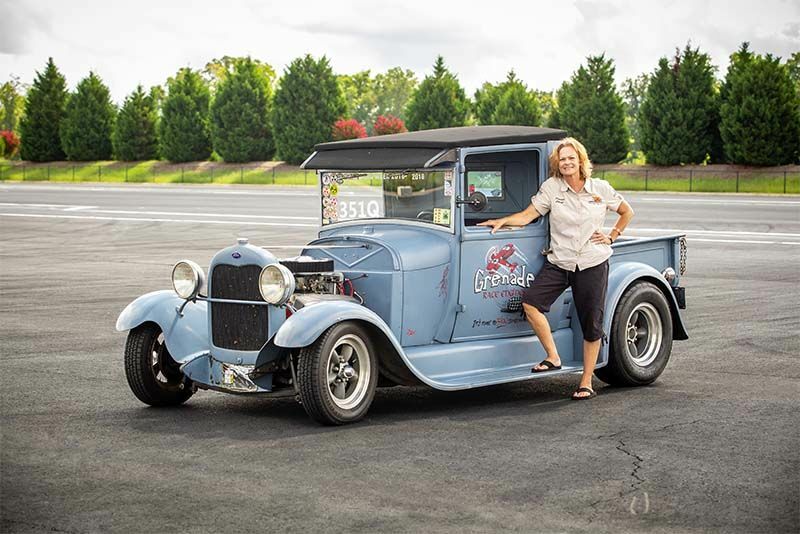 We meet up with Cheryl, a petite 60-something, and her partner, Steve Morley at the first round of HOT ROD Drag Week in Commence, Georgia – they'd just driven their 1929 Ford Model A pickup truck hot rod 900 miles from Arnold, Missouri and are ready to race. Click play on the video below and join Cheryl and Steve as they journey through Drag Week, chasing that elusive 100mph mark. Pop over to the HOT ROD website if you want to find out more.